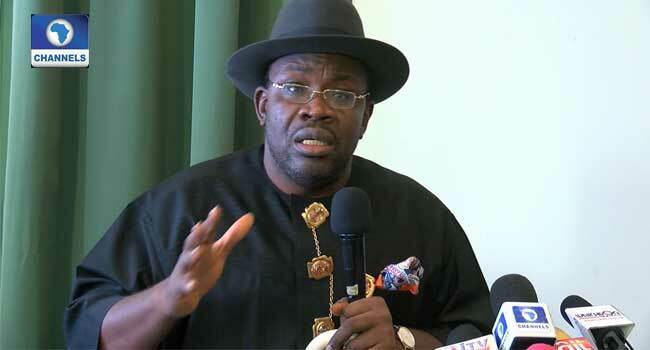 The Bayelsa State Governor, Seriake Dickson, has signed a budget of N299 billion into law for the 2019 fiscal year. Governor Dickson appended his signature to the document on Friday at the Government House in Yenagoa, the state capital. He explained that the document, tagged ‘Budget of Final Completion’, was aimed at completing all ongoing projects in the state before the expiration of his tenure. He added that investments would be made in critical sectors such as health, education, and infrastructure among others. The governor had presented an Appropriation Bill of N275 billion to the Bayelsa State House of Assembly on December 20, 2018. The lawmakers, however, reviewed the estimated figure and subsequently approved the sum of N299 billion. The Speaker of the House, Kombowei Benson, who also witnessed the signing of the document, explained the rationale behind the action of the lawmakers. Meanwhile, Governor Dickson also assented to the Administration of Criminal Justice Law of Bayelsa State, 2019. According to him, this is to ensure that offenders are legally punished within the ambit of the law.